There’s little sympathy for people who harm dogs and cats. And clearly, some people believe this couple is deserving of nothing more than dog or cat food. KANSAS CITY, Mo. — A Las Vegas-based company and its owners have pleaded guilty to distributing a tainted ingredient used to make pet food that killed potentially thousands of dogs and cats. Sally Qing Miller, 43, and her husband, Stephen S. Miller, 56, along with their company, Chemnutra Inc., pleaded guilty Tuesday to one count of selling adulterated food and one count of selling misbranded food, both misdemeanors. They initially were charged with 13 counts of introduction of adulterated food into interstate commerce, 13 counts of introduction of misbranded food into interstate commerce and one felony count of conspiracy to commit wire fraud. The charges were contained in a February 2008 federal indictment that alleged the Millers and ChemNutra, along with two Chinese companies, brought wheat gluten tainted with the chemical melamine into the U.S. 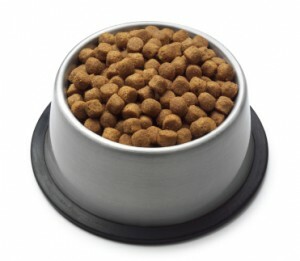 It was then sold to pet-food makers, and thousands of cats and dogs reportedly became sickened or died. Posted: 6/19/09 at 3:18 PM under News Story.